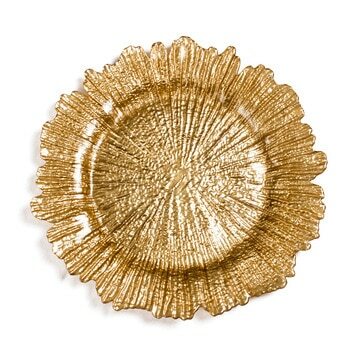 Glass gold flare charger plates looks fantastic on any table setting. Add some colour and elegance to the tables at your next event. 33cm -35cm in diamater and made of glass.